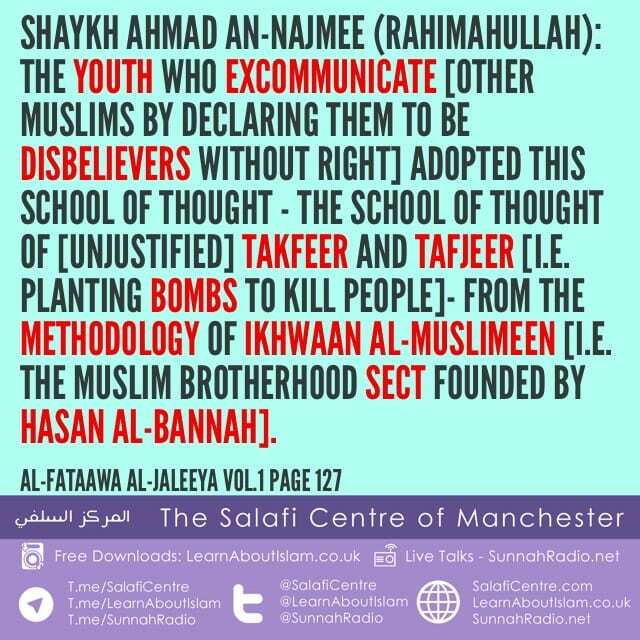 The youth who excommunicate [other Muslims by declaring them to be disbelievers without right] adopted this school of thought – the school of thought of [unjustified] Takfeer and Tafjeer [i.e. 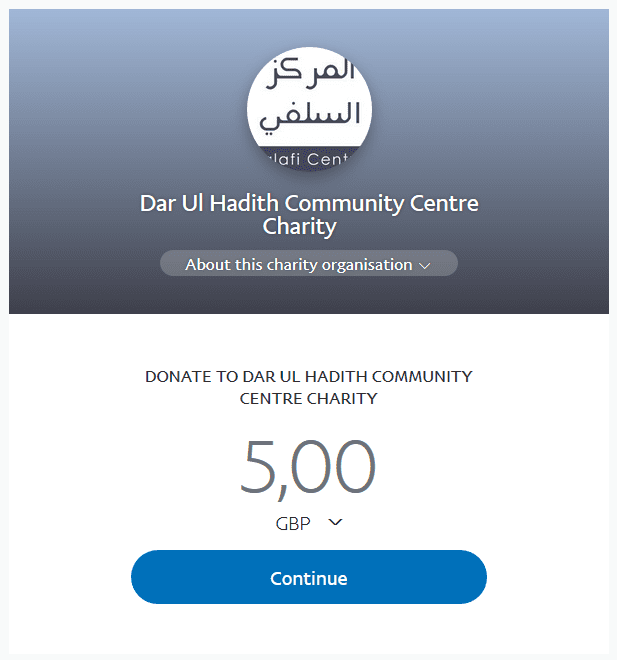 planting bombs to kill people]- from the methodology of ikhwaan Al-Muslimeen [i.e. the Muslim Brotherhood sect founded by Hasan Al-Bannah].